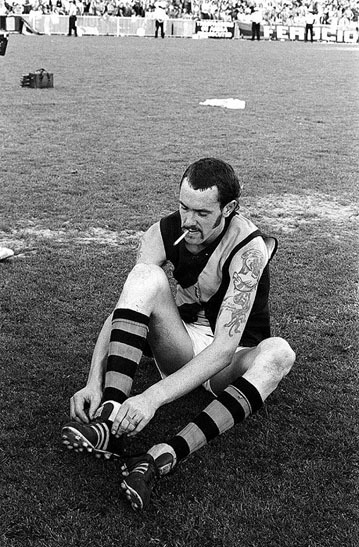 This entry was posted in Musings and tagged afl, beer, chips, cigarettes, doughnuts, finals, football, football memories, Footy, footy smells, loos, memories, mud, nose, smells, sweat, toilets, VFL by theholyboot. Bookmark the permalink. 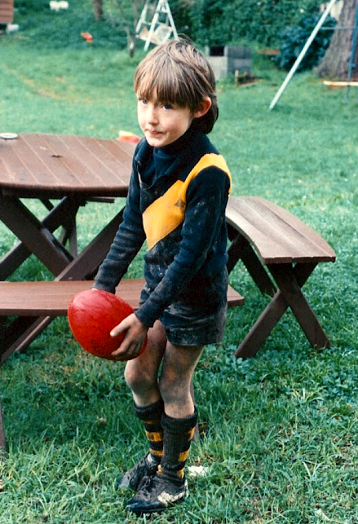 Even more rank than the dunnies at Vic Park was the MCG changerooms c1984 when I played in the Little League for the Tigers. Someone said it was chewing tobacco but I dunno. I think it was a combo of 50 years of piss and poo and sweat. Another lovely piece of inquiry and writing that takes the game we all cherish in unexpected (but readily recognizable) directions. This is football writing that matters, drawing on shared memories, on a collective of experience. Stop and smell the roses? I will sniff a football game, next time I am there. Surely the smell of meat pies and tomato sauce? As part of being a responsible auntie I have shown at least 2 nephews how to eat a pie at the footy without spilling it. 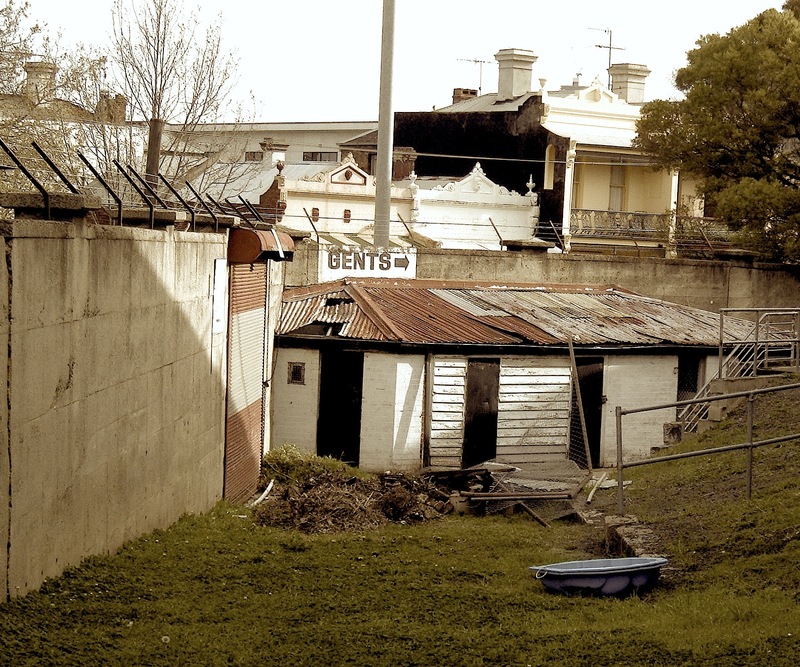 I remember the ghastly smell of the loos at Victoria Park (ewwww) – were they ever cleaned?